 Doppiozero39 provided custom furniture for hotels which have allowed them to stand out in the market for their quality and reliability. Each piece of furniture is treated in details and designed to resonate with the other elements in the whole surroundings. The walls were covered with metallic fabric and backlit LED, while the interiors are customized accordingly. Completely customized to its environment, it’s in velvet with flame retardant foam, supported by legs made from solid wood ash. The table has an interesting detail: characterized by a happy marriage between the metal frame and lacquered rear glass top. The stools around the counter and the tables are made of steamed beech, with stainless steel footrest and seat made of leatherette fire retardant. The chairs are made in leatherette, while the stools are formed by a brass bronzed structure, and the seat with backrest in fire retardant leatherette. The chairs surround an elegant oval table with lacquered base with the top in smoked eucalyptus. The custom furniture of the rooms for the hotel retains the same modern and elegant style, which conveys a feeling of relaxation and comfort. The interior design of the rooms is decorated with plush ottomans and sofas with legs made from solid wood structure covered with fabric. The difference is the tufted ottoman in the library area, Alcantara with rear-lacquered glass top to serve as a coffee table. Completing the decor paneling moveable double-sided fabric with metallic edge in lacquered beech wood. For the decor of the restaurant inside the hotel we used chairs with mono-leg "X", with seat in curved plywood and covered in leatherette fire retardant. The surface of the tables in the restaurant with an elegant touch to the whole environment, thanks to their composition rosewood and polished polyester mirror effect.